We've been trying to eat more fish since it is low in calories and good for you. Okay, I've been forcing my poor husband to eat more fish even though he doesn't care if it's low in calories and good for him! Fish is expensive so we're sticking to the more mundane fish--no Chilean sea bass or anything like that. I've found that cod is reasonably priced and a fairly "meaty" fish so you don't feel like you want to go out for a burger or pizza after you've had it for dinner. This recipe is super simple. I found it online somewhere and tweaked it a bit. It's quite tasty considering that cod is a relatively bland fish. I served it with a salad of massaged kale which I will tell you about in my next blog post--stay tuned! This is a super easy and healthy weeknight dinner! 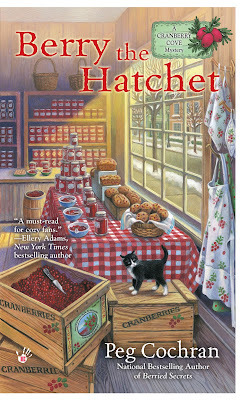 I am so excited that book #2 in my Cranberry Cove Series will be out on May 3! 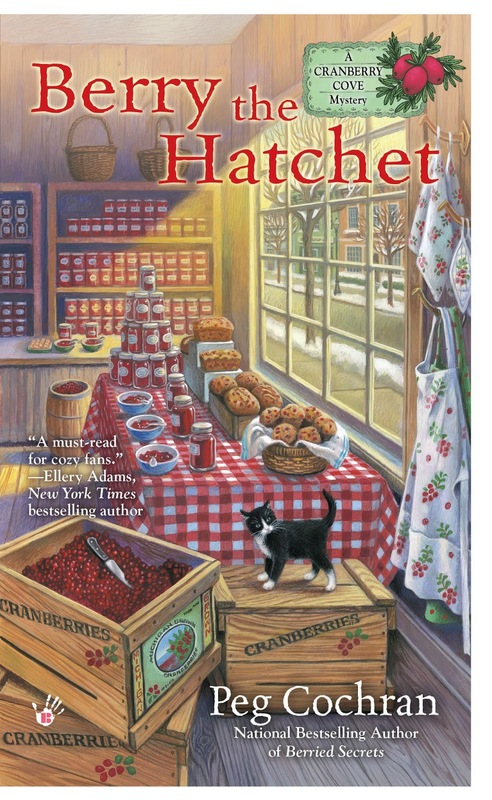 Have you pre-ordered Berry the Hatchet yet? You know you want to catch up with Monica, Jeff, Gina and the gang! The entire town of Cranberry Cove is popping with excitement. Monica Albertson is baking cranberry goodies by the dozen and shopkeepers are decking out their storefronts for the first annual Winter Walk—an event dreamed up by the mayor to bring visitors to the town during a normally dead time of year. But it’s the mayor who turns up dead during the grand opening ceremony, his lifeless body making its entrance in a horse-drawn sleigh. 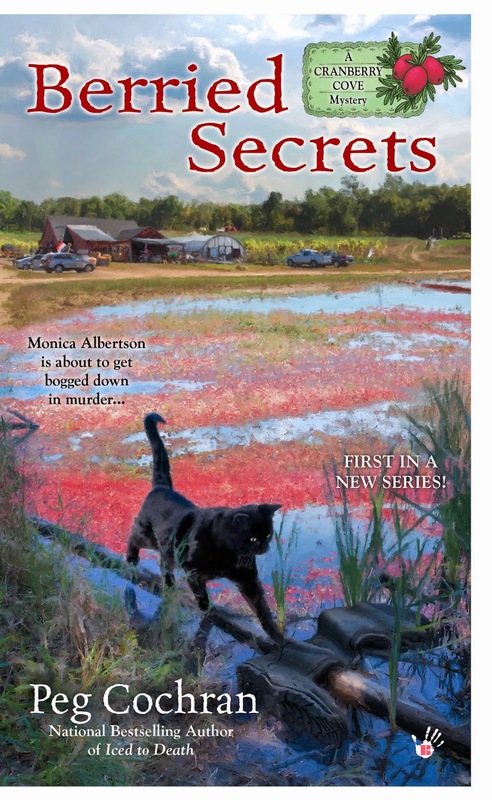 Monica’s mother and stepmother quickly become the prime suspects when it’s discovered that the mayor was dating both of them, and to make things worse, her half brother Jeff uncovers a clue buried near one of the bogs on Sassamanash Farm. Now it’s up to Monica to find out who really put the mayor on ice. 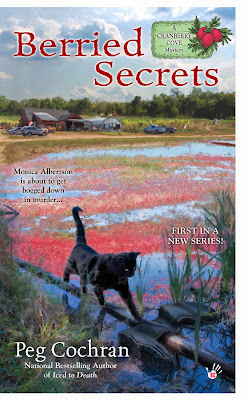 If you haven't read the first book in the series, Berried Secrets, leave a comment below to be entered to win a copy! Visit my web site to sign up for my newsletter for advance previews, news of giveaways and more! I love this recipe...yes, I think I can fix this. I am a fan of this series. The cod recipe sounds like a yummy dish, and I look forward to reading this series. I would love to win Berried Secrets! Thank you for the giveaway. Don't enter me I've already read it. We've been eating more fish too. Fortunately my boyfriend likes fish. I usually make salmon, steelhead trout, cod or flounder. Hmm...I do have some sriracha on hand, courtesy of my daughter, and there's plenty of cod around here (this is, after all, Massachusetts, the home of the bean and the cod, and they have a gold cod hanging in the State House in Boston). I'll have to try this! I'm not sure how I missed this series! Would love to win a copy! Sounds tasty! I may have to try it! I would love to win a copy of Berried Secrets. Looks like a fun read. I'll have to try that recipe sometime as a MA resident cod is always on sale. I have never read this book and look forward to it! I would love to win a copy. I like to find new series to read. I came over from Save Our Cozies so thanks for posting there. Trying to eat more fish too since it's good for you. 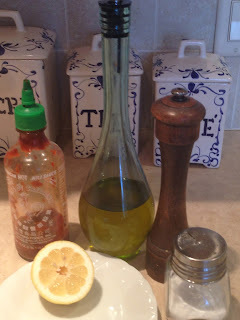 Good recipes like this help, since I'd really love a cheeseburger sometimes! Thanks for the giveaway. 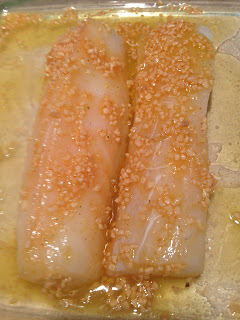 I find cod so bland---this recipe may help that. Thanks for the contest. Going to have to buy some sriracha. I keep running across recipes that include it. I look forward to reading your books! I haven't read this book yet and the libraries in our area doesn't have this book either. The recipe does sound good but not a big fish eater. I haven't read any of this series yet. Looking forward to reading soon. Like that recipes are included. This looks yummy! Thank you for the chance to win! Thank you for the cod recipe Peg...it looks yummo! I have yet to read Berried Secrets...sounds like a good one! Thank you for a chance to win. This looks delicious. I am definitely going to try it. Thanks for the chance to win. Would like to read this and review it as well! I have been wanting to read this book. The series sounds great.